These are the questions that I am most often asked, whether on social networks, media forums, through private messages or email and even in person. I totally understand how frustrated and overwhelmed people feel when they are creating their Job Board for the first time. Honestly, if I didn’t know what I do today, I would be frustrated too! When we started Smartjobboard back in 2008, our main objective was to build a solution that anyone and everyone could use. Since that moment, more than 2000 job board owners all over the world trust Smartjobboard to power their businesses – and for our small team, this is a huge achievement. Throughout these past 8 years, I have had the opportunity to observe thousands of amazing job boards. Some that unfortunately went out of business with time and hundreds of successful Job Boards that stayed within the market and keep growing today. Furthermore, I have taken note of several principles that all successful Job Boarders have in common as well as what actions they take while building their Job Boards. In this article, I want to share these observations with you and hopefully, help facilitate your Job Boarding process. The majority of Job Boarders prefer to stay within the niche they are accustomed to or in which they have already worked. 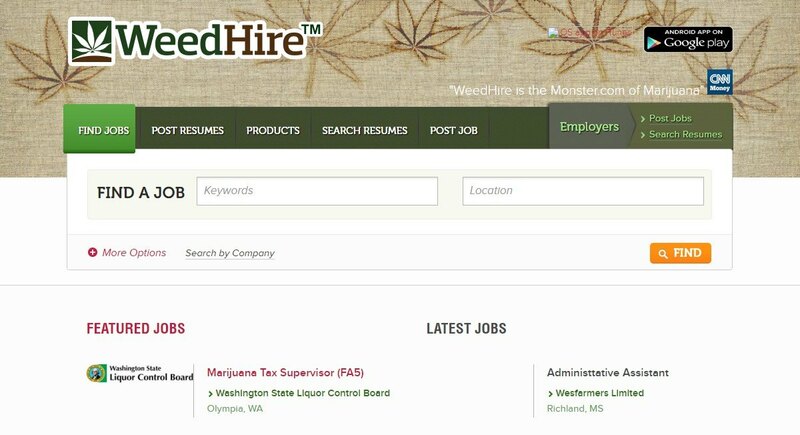 In my personal experience, I have seen Job Boards that are targeted to very narrow industries such as gastroenterology, truck driving, casinos and even marijuana cultivation. Such job boards turned out to be not only extremely popular but successful as well because they were targeted to one specific audience. But, what should you do if you are uncertain of your niche? First of all, it’s best not try to create a Job Board for just anybody, in any category. General Job Boards are much more likely to fail because they do not have the capacities of competing with such giants as Indeed or Monster. Secondly, it is important to keep an eye on trends and emerging market demands. For example, a few years ago it became extremely popular among young, tech savvy professionals to work remotely. WeWorkRemotely quickly caught on and currently, they have the number one Job Board for IT remote jobs. Your overall goal should be to find emerging or underserved markets. Google trends – you just need to enter the terms related to your niche and the tool will build a graph describing the search trends for these keywords. Google keyword planner – after you’ve learned which user queries have a growing trend, you can start gathering some quantitative data, using Google keyword planner. Simply enter your keywords and Google will show you an estimated number of search queries per month. Additionally google will display a list of related key phrases, which may inspire you to try alternative terms. Other important information is an average cost per click (suggested bid) for each keyword. You can use this data to estimate how much it would cost to attract a specific customer to your website. It also gives you an idea of how competitive certain keywords are. More competitive keywords mean more competitive niches and vice versa. Also, try searching for blogs that are related to your industry and sites like Quora and Reddit. You may find there the worthwhile advice on what’s getting popular. According to Chris Russell’s ebook “Essentials Guide to Launching Your Job Board”, your Job Board will only start bringing in a profit after you get 5,000 – 10,000 monthly visits. This is the minimum number of users that you will need in order to ensure that employers who post jobs on your Job Board actually receive applicants. I am not trying to scare you off or discourage you from the project. In fact, I understand, this may seem like a lengthy and difficult objective to achieve. However, it is truly possible to easily attain this number if you focus on building an engaged community. For example, Smashing Magazine built a successful blog for professional web-designers and developers. They share high-quality content that is appreciated by millions of readers. For this reason, when they launched a Job Board, they didn’t have any issues with providing high-quality, targeted applicants to employers. Another great example of building an engaged community is Code Pen. Code Pen is a great tool for web-developers that allows them to share code snippets. Tech savvy individuals love this tool, because it allows for an easy demonstration of how certain methods of coding work. 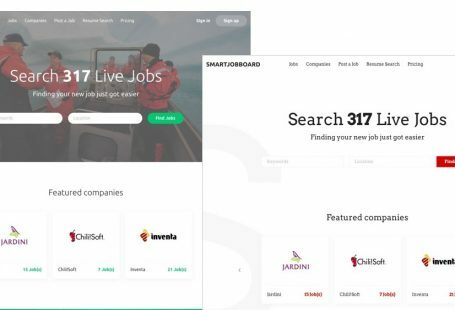 As you might have guessed, when they decided to launch a Job Board, they didn’t have any issues with attracting employers and job seekers, because they already had a dedicated community. Their Job Board was just simply additional monetization channel. 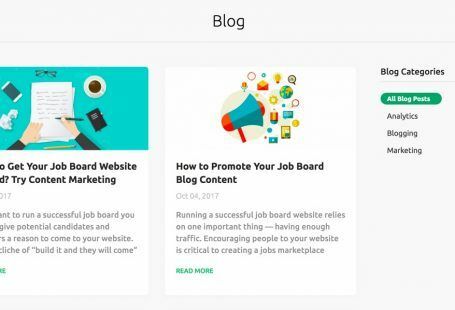 Inbound.org – a community for digital marketers, launched a Job Board and is amongst the most popular of its niche at the moment. Problogger.net – a popular destination for those who enjoy learning how to make money through blogging. Starting a Job Board was a natural evolution to their business. GitHub – a place for developers to share open source code. Millions of people use this service daily, and of course their niche Job Board is also successful. These examples demonstrate that the quickest way to monetize your Job Board is by building your community first. This can be done through different means: blogging, creating interesting content, podcasts, infographics etc. The sky is your limit, just use your imagination. Before making a final decision on which direction to go, it’s important to obtain as much information as possible about current players already within the targeted market. How much traffic do they generate? Who are their customers? Are they growing? This type of information will help you greatly in finding growing, but not too competitive niches. Alexa is a tool that helps in completing this type of research. Just enter the site URL to be analyzed and explore the information provided. SimilarWeb – this service will help you discover your competitors incoming traffic statistics. Ahrefs – this competitive research tool will help get insight into your competitor’s backlinks, search engine ratings as well as other useful and important feedback. SemRush – another great tool to “spy” on your competitors. Furthermore, we have prepared a list of the most popular niche job boards among the various industries. It also provides an estimated number of postings per site to determine the market capacity. Don’t forget: it is also important to look critically at your competition. Does their website look dated? Are they receiving consistent job postings? Are their social media channels refreshed and up to date? Once the niche is decided upon, it is time to choose the software platform for your Job Board. You can choose between SAAS (software as a service) and an open source software like WordPress. The decision here ultimately depends on your budget and technical skills. If you don’t want to be bothered with hosting, coding, upgrades or other things that make you break out in a cold sweat, then definitely choose SAAS. However, if you feel comfortable with software installation and system customization – open source software is exactly what you need. In order to start with SAAS, all you have to do is to sign up to the service, pay the fee, connect your domain or use one provided within your account. Next, you need to choose a job board theme and add your content. Overall, it only takes couple of hours (or less, depending on the number of pages and their content level) from registration up to the full site launch. To build a job board on the open source platform you need, first of all, purchase a hosting and be sure that it’s compatible with your preferred platform. Then you need to install an engine, customize the template and of course, this requires more time than SAAS option. The biggest advantage to an open source system however is flexibility. You can customize every single part of the system to best meet your needs. 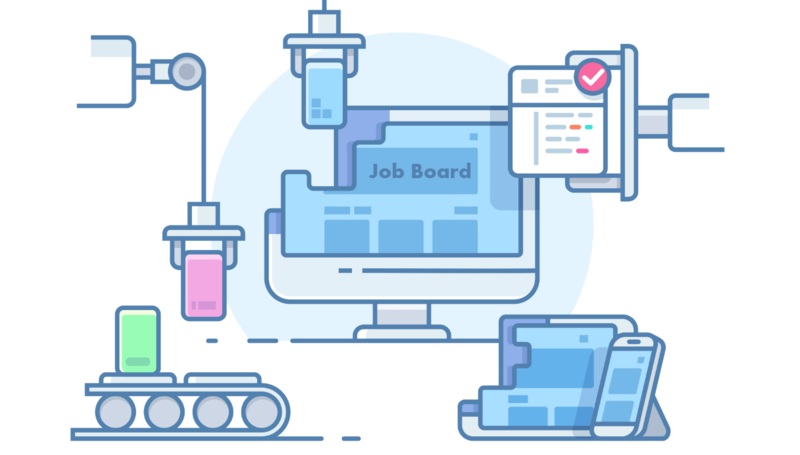 In this list, prepared by Jeff Dickey-Chasins from jobboarddoctor.com, you can find all Job Board platforms that are currently available on the market. While you’re at it, make sure to check out the reviews on Capterra! Anyone can launch a Job Board using WordPress, but this won’t get you very far. In the first year of a Job Board, you need to heavily concentrate on marketing. SEO – This is probably the cheapest way to achieve exposure and attract high-quality candidates. 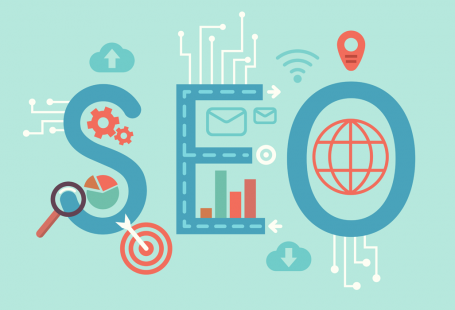 As SEO optimization takes a lot of time and efforts, don’t hope to see the results right away, consider it for your long-term strategy. In one of our past blog posts we wrote a detailed step-by-step Guide To Job Board SEO. I highly encourage you to check this article out. Google Adwords – Google Adwords is one of the quickest, but also the most expensive channels for attracting a target audience. Consider using it for quick results. Social Media – Social Media is a great tool to naturally and organically connect with the audience, as well as connect with your readers’ and candidates social network. As you provide valuable content, your followers share it, expanding your reach. Job Aggregators – To reach an even wider audience and to distribute your jobs, consider using Job Aggregators (aka job search engines). All job aggregators work on the PPC model. They charge around $0,15 – $0,25 per click, which is way cheaper than charges Google. Blog writing and working with influencers – Nowadays, content marketing is becoming one of the most powerful marketing channels. It’s biggest advantage is that it is absolutely free. If you can’t write, you better learn now or hire a professional blogger. Otherwise, you risk being edged out. Remember that you need to already have job postings on your website when you launch. Don’t launch without them! Nobody will want to post jobs on an empty job board. Copy jobs from employer websites and link back to them for job seekers to apply. They usually won’t mind, because they receive free exposure. This will also allow you to build relationship with employers in your niche. And will give you better chances in converting them into paying customers later. 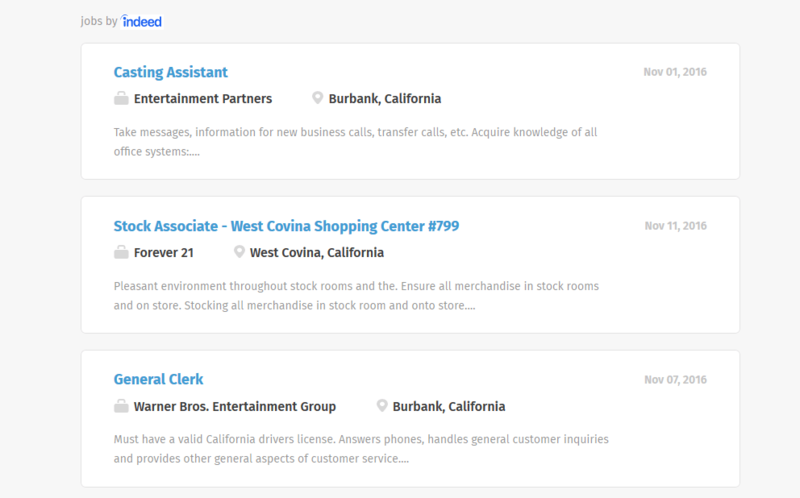 Backfill with Indeed, Juju, JobG8 and other job aggregators. This will also allow you to get some revenue from the commission they’ll pay you. The main source of revenue will be Job postings & bulk packages. Google Adsense can provide as much as 10 – 20% of your revenue. Of course, it won’t necessarily be similar in your case. Much will depend on where you concentrate your marketing efforts. When it comes to pricing, consider offering free job postings to your employers, especially in the beginning. This should help you win the trust and loyalty of your future paying customers. Later you can always increase the price and add additional paid services. New sites usually start out low in order to gain market share. 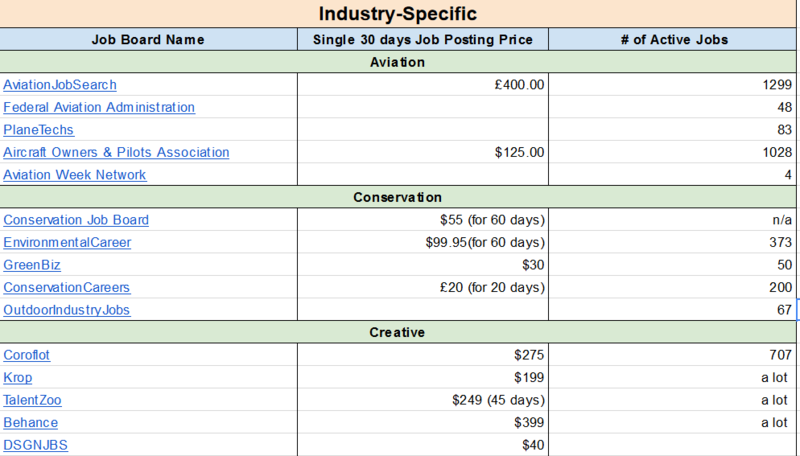 For single postings, consider charging between $50 and $300 for 30 days. Create packages for 2, 5, 10 and unlimited postings. Bring the price down a little each time the more the customer buys. 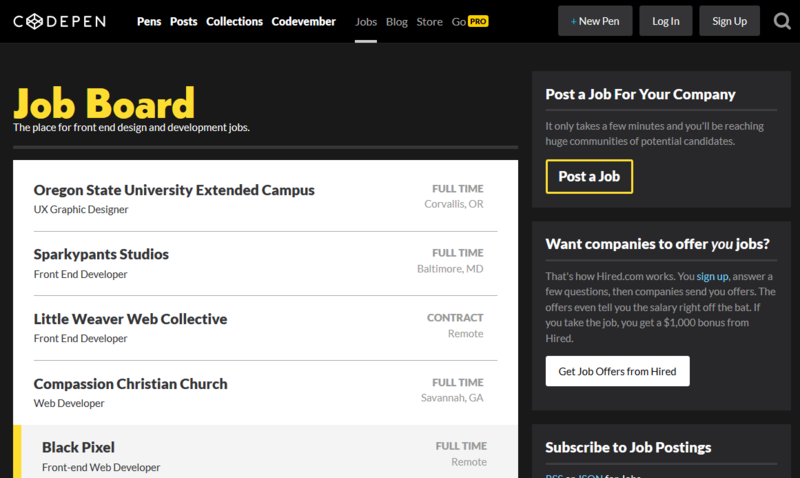 Check the list of niche job boards we’ve prepared to get an idea of what other job boards are charging in your niche. The key to true Job Board success is persistence. Don’t give up too early. It takes a year or two to achieve a stable flow of revenue in this evergreen industry. Concentrate on building a loyal community. Create a blog and keep blogging regularly. If you are looking for quick results, then focus on distributing jobs to job aggregators. It is not easy, but it is definitely worth it. Share with us your challenges in building a job board in comments below. First and foremost, I would like to thank you for posting such a straightforward and informative blog about getting started as a job-board creator. However, could elaborate on section 6 “How to get your first job posting”? As an inexperienced web and job-board developer, I would like to know how exactly I can do what you have said in this section, i.e. copying jobs from other websites, and backfilling from other job aggregates. This information will help me immensely. Thank you in advance. Thanks! Glad you find this useful. Hi, great post! A great place to find an IT job within Europe is https://www.softyjobs.com (IT JOBS FOR IT DEVELOPERS) and there’s also a free job posting option. Can you create a job board based on nationality, ethnicity or race? What are the rules on that? It mostly depends in which country you’re creating a job board. For example in US there are EEOC regulations which make illegal any employment discrimination on the basis of race, color, religion and etc. So it’s better to take a look at employment regulations in your country first, just to be aware. However, they only affect hiring companies, and restricts them from using any discrimination in job descriptions and hiring process. These laws don’t restrict creating a job board for a specific nationality, ethnicity and etc. There are different example of such job boards, e.g. https://www.ihispano.com/. And usually that kind of job boards help to increase diversity in companies. Great article. I have recently developed a Job Site using WordPress called https://www.SoManyErrands.com. Its basically a site where users can make money by running errands for others. Its been challenging to get people to submit errand listing! Great information. We are trying to find a reliable job board resource for our site http://www.mommyjobsonline.com to list our job openings to work remotely. We will give this a try and hope it works just fine. This is a great article I ever found about job board guide and strategies! Why this is so good to me is I’m stuck at this stage of filling my newly launched empty job board site with jobs and contents! I wasn’t so sure what and how to make it look “okay” with some valid contents to launch. before this article that I luckily spotted, I was thinking of using some Auto backfills from Indeed.com or Careerjet.com etc, but i wasn’t feeling that’s the best choice because I didn’t like that way it shows other third party’s logos and “search by (other job board)” on my job board. and that also causes some issues for job search function due to the mismatch of job search attribute system (job details and criteria) between my site and other job board sites. 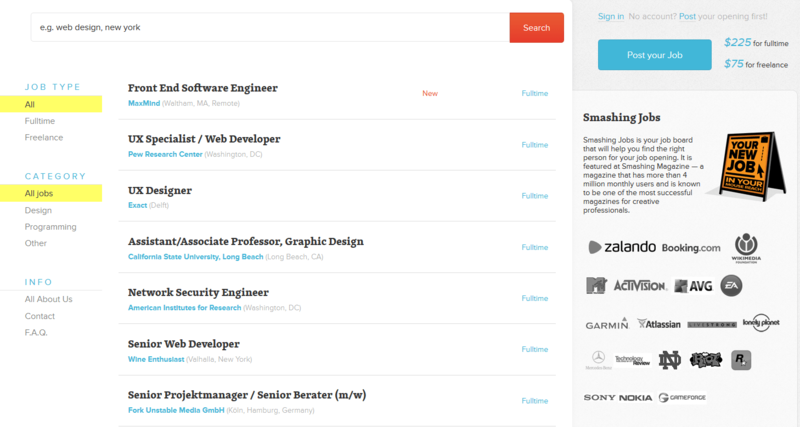 Manually copy job ads from employers to fill it up is really a great idea! and so happy to see that wouldn’t be a problem! (I was a little worried if that’d cause copyright or use of privacy issues) Happy I found that quote from your article that “Employers wouldn’t mind someone copying their job ads top post because they get free exposure”!